Let the Romney Rebranding Begin! Throughout the veepstakes, the conventional wisdom held that Romney would make a lower-case “c” conservative selection, like Portman or Pawlenty. This view aligned with the Romney camp’s espoused belief that they could coast to the White House, simply by riding an inevitable tide of undecided voters disaffected with the president’s performance. But Romney’s decision to select Paul Ryan is the pick you make if you’re behind, not if you’re ahead. It’s exactly the pick to change the race and rebrand your candidate, and in recent weeks, it became wholly apparent that such a rebrand was necessary for Romney. Whether that calculation undergirded Romney’s choice or not, there’s no question that this is a rebrand pick--and that was the right move for Romney. The issue, of course, is whether Ryan gives Romney the right brand. Romney’s biggest problem was arguably the complete absence of a narrative or message. Without a reason to support his candidacy, other than being a warm-blooded alternative to Obama, Chicago stepped in to fill-in the blanks. 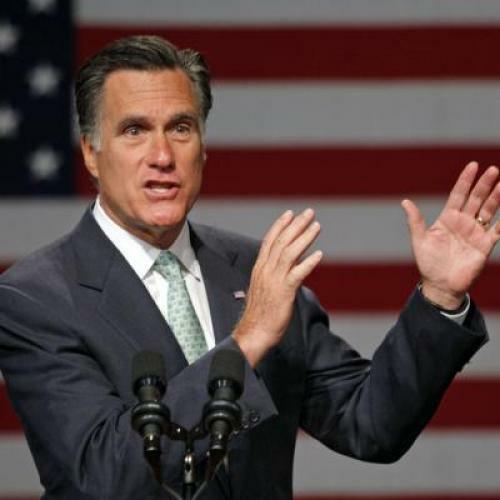 With only a few exceptions since the campaigns began airing advertisements in May, the campaign has been dominated by Romney’s tenure at Bain Capital, outsourcing, and Romney’s tax returns. While those controversies will endure, they won’t dominate weeks and months of media coverage as they did in the past. Democrats, Republicans, and especially media are all interested in discussing the Ryan plan, and there won’t be enough oxygen for Bain and tax returns to play more than a complimentary role. Democrats enthralled with the Ryan pick would be wise to remember that this selection is all but certain to redirect focus away from a narrative that had them on a path to victory, at least in my opinion. If the Romney campaign assessed that they would rather discuss the Ryan plan than Bain Capital, tax returns, and outsourcing, I couldn’t blame them, given how the first few months of the campaign have gone. The question, of course, isn’t whether Romney needed a theme or a rebrand in the abstract, but whether Ryan is a winning rebrand. The risks associated with embracing the Ryan plan are well known, since the Ryan plan has already made its national debut and both sides have previewed their arguments. Democrats will criticize Romney for endorsing a plan that they will characterize as ending Medicare and dismantling the social safety net to provide tax cuts for wealthy Americans. Republicans will argue that the national debt and the growth of entitlement programs are unsustainable, and reforms are necessary to preserve the future of Medicare and the solvency of the country. Until proven otherwise, my presumption is that the public will be skeptical of the Ryan plan. Recent history is not kind to bold initiatives to reshape anything related to the provision of essential services or care—whether it’s Bush’s failed effort to enact Social Security Reform or the bloody fight to pass the Affordable Care Act. While the right-track, wrong-track numbers make it easy to assume the public is ready to try anything, the public doesn’t see Medicare or Social Security as programs that require fundamental changes to ensure their solvency. The public actually does believe that about the health care system, and yet unified Republican opposition was still sufficient to raise considerable doubts about the efficacy of the Affordable Care Act. Not only have grandiose reform schemes proven easy to demonize over the last decade, but Obama will be able to argue that incremental “balanced” reforms can control the deficit and maintain the solvency of Medicare and Social Security. The credibility of Obama's attacks will be aided by the synergy between the attacks on Bain Capital, entitlement reform, and Romney’s tax policy, provided the Obama campaign can weave these strands into a coherent narrative. And while the risks Romney faces among the elderly are self-evident, these arguments seem likely to resonate with women and especially working class women, who not only are reliant on the social safety net, but who are more likely to be concerned about the effects of the Ryan plan on the most vulnerable Americans. Yet I don’t think the Ryan plan is assured to cripple Romney’s chances, as many Democrats suspect. For starters, Romney was already vulnerable to attacks on the Ryan plan. Now, perhaps voters didn't find these attacks especially credible and will once they see Romney's association with Paul Ryan, but I find it hard to imagine that the Romney campaign volunteered to walk down the plank. As I’ve said before, I do not assume that campaigns make cataclysmic strategic errors, and the Romney campaign undoubtedly tested this extensively and still felt comfortable picking Ryan. Romney’s big financial advantage is also quite significant, since the public doesn’t yet know the details and conservative groups will be spend more to define and defend the Ryan plan than their Democratic counterparts. Given deep dissatisfaction with the direction of the country, Americans might be more open to an agenda that’s scaled commensurately to the challenges facing the nation. Along those lines, the Romney-Ryan ticket appears ready to brand themselves as “America’s Comeback Team,” and that’s something that Romney can say with more credibility today than he could yesterday. And to win in November, Romney ultimately did need to say that with credibility. If none of the other vice presidential picks would have allowed him to do that, then perhaps Ryan really was the best option, especially since Romney was already vulnerable to attacks on the Ryan plan. In other words: if Romney was going to suffer the disadvantage of endorsing the Ryan plan, then he may as well get the benefit of appearing serious about providing an alternative vision for the country. After suffering relentless attacks on Bain Capital, outsourcing, and taxes, the Romney campaign needed a vice presidential selection capable of jumpstarting a thorough rebranding effort heading into the convention. There is no question that Ryan is a bold enough pick to give Romney the theme his candidacy needs, but it is far from clear whether the Ryan brand will serve Romney well. It is probably telling that both Democrats and Republicans think that Ryan was a great pick for their chances, but history suggests that it's not wise to stand on the side of fundamental reforms to entitlement programs. It's possible to envision how Ryan could ultimately prove an asset, but my presumption is that the Ryan plan hinders Romney's chances until proven otherwise.